CHAD WACKERMAN, who recorded 26 albums with Frank Zappa; and Darren Beckett, drummer for The Killers' Brandon Flowers; are coming to Galway as part of a major new event - the Galway Drum Show. The Galway Drum Show is on Sunday March 10 in The Clayton Hotel from 10am to 5.30pm, and is billed as a 'one day celebration of the art of drumming and the drumming industry', which will include special performances by some of the world’s leading drummers, along with demonstrations, exhibitions, and panel discussions. 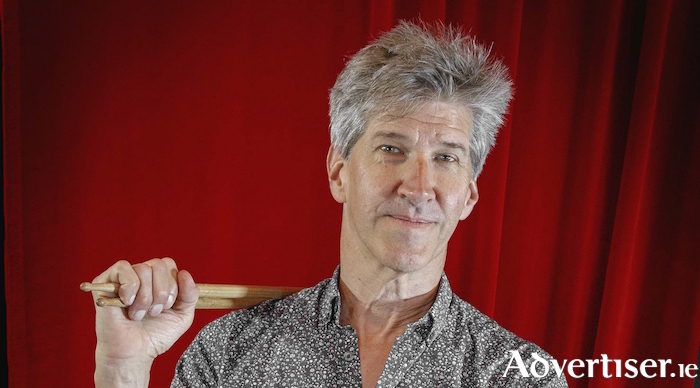 Chad Wackerman was the drummer on 26 Frank Zappa albums, including Ship Arriving Too Late to Save a Drowning Witch (1982 ), The Man From Utopia (1983 ), and Jazz From Hell (1986 ). He has also worked with Barbra Streisand, James Taylor, and The Police's Andy Summers. Also playing are Adam Martello, musical director and drummer for Katy Perry, and who has recorded theme songs for Modern Family, Arrested Development, and Deadwood; Darren Beckett, who in addition to working with Brandon Flowers, is a member of Little Big, the band led by award-winning jazz pianist Aaron Park; and Dan Western, who has toured with Jason Donovan, Belinda Carlisle, and Paul Young. “Whether you are a professional drummer or just an enthusiast, this show will have something for you," says John Tierney, organiser of the Galway Drum Show. "This is a first for the Irish drumming community. You can also learn about any aspect of drumming through workshops in our ‘Experience Rooms’. They will cover everything from making, tuning or recording drums to adding electronics to acoustic drum kits. You can also take part in a tribal drumming circle." Leading drum companies will take part in exhibitions and talks including The Cambridge Drum Company, Yamaha Drums, Gladstone Snares, Remo Drum Heads, Vic Firth, Meinl, Barkley Microphones, and Hardcase. For more information see Facebook and Eventbrite. Page generated in 0.0990 seconds.